There are few things as delicious as a piping hot mug of tea or coffee first thing in the morning. The rich, fresh flavours of a good brew are incomparable, and nothing makes you feel as warm and cosy. But what do you do if you're traveling, hiking, or driving to work? If you want to take that tea or coffee with you, you need a thermos to keep it hot. A good thermos is the best way to ensure you always have something hot and strong to drink no matter where you are. 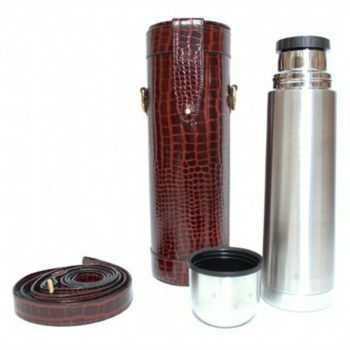 Marlborough of England is proud to offer a range of luxury leather thermos flasks. 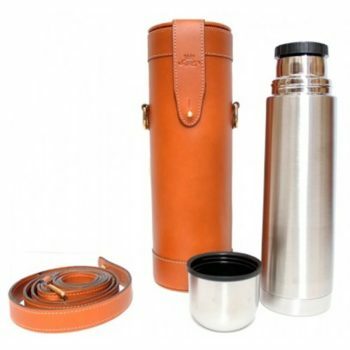 Our thermos flasks are made from quality stainless steel and bound in fine-grain leather. The leather is hand-stitched by skilled craftspeople, ensuring maximum durability. 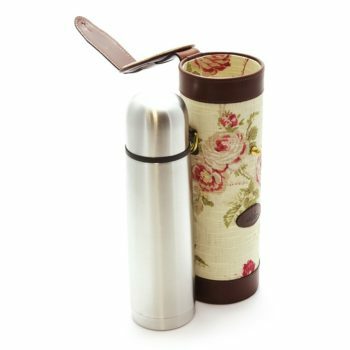 Our thermos flasks are a perfect match between luxurious elegance and simple practicality. 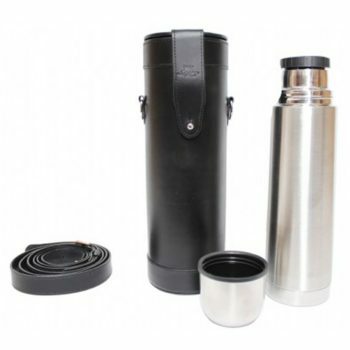 The thermos flasks come with a cup to serve your fresh brew into, so you can always drink when on the go. 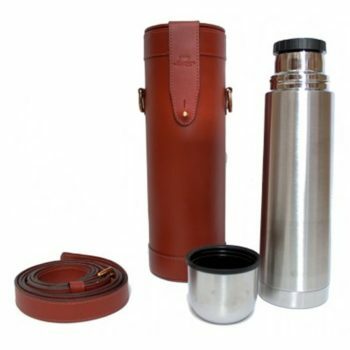 Whether you want to take hot or cold beverages with you, our flasks are built with the quality you need.